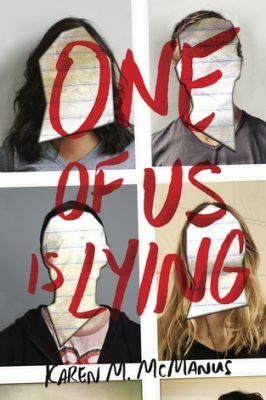 This book has been described as The Breakfast Club meets Pretty Little Liars and that is definitely a good description. I really enjoyed this book. Like everyone else I could not stand Simon. The fact that someone is OK with torturing other people by revealing their secrets is disgusting especially when it comes to things such as outing someone. Unfortunately it is so relevant with our culture right now, especially in regards to social media. People take their own misery out on other people and it is atrocious. 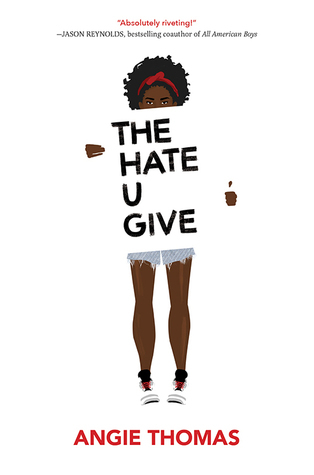 As far as the book goes I really enjoyed the writing, MOST of the characters (especially those in the murder club), and all the twists and turns. Besides loving the twists & turns I also loved the relationship between Nate & Bronwyn and Cooper & Kris. I have to admit I did NOT see the twist coming until it was pretty much right in front of my face. After reading all the reviews I feel a little dumb I didn’t see it sooner, haha. Looking back it should have been so obvious. Clearly I wasn’t paying enough attention. I also ended up hating Jake, maybe even more than Simon. Poor baby, you were cheated on…not sure trying to frame your ex for murder is getting even. Grow a set psycho! This was definitely a good thriller with a good AHA moment towards the end. Recommended! Sunshine Griffith can communicate with ghosts. 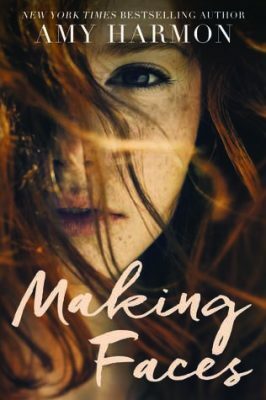 Even more amazing—to herself; her boyfriend, Nolan; and her adoptive mom, Kat—she’s recently learned she’s a luiseach, one of an ancient race of creatures who have lived among humans for centuries, protecting them from dark spirits and helping them move on to the afterlife. Having survived an abyss full of demons, Sunshine Griffith must figure out who—or what—has been organizing the forces of darkness against her. Do they want to destroy her and the rest of the endangered luiseach? Do they want to take over the world? Nolan has figured out that Sunshine’s death would trigger a calamitous event, so not only does she have to stay alive for herself, but for the fate of civilization. It’s not just the demons who want Sunshine dead, though. Her biological mother, Helena, is back. And what is Helena’s history with the mysterious man in black? 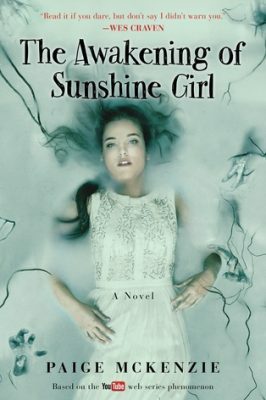 Fortunately for Sunshine, she has a lot of people (and ghosts) to help her stop the darkness: Nolan, her father and mentor Aidan, her mom Kat, Victoria, Lucio, Anna, and Ashley—whose handsome new crush, Sebastian, seems hauntingly familiar. But time may be running out as an unexpected event unleashes a fierce war between the luiseach and the demon army. In the midst of the fiery battle, Sunshine will learn a shocking truth about herself and what sort of sacrifice is required to save the world. 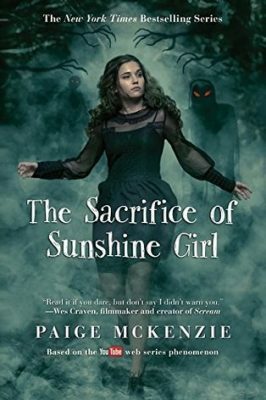 This was the final (as far as I know) book in the Sunshine Girl series and I think McKenzie wrapped it up nicely. Did this book blow me away, no, but it was enjoyable to read. This book had a good story line, a nice twist, and showed Sunshine coming into her full power. I loved that all the characters we have been introduced to in the previous books are present in this book and we get to know more about all of them. I don’t know how I feel about part of the ending that involves what happens to Sunshine after she battles the demon (don’t want to give it away) but I can see where it was a nice ending point. This was the third book I read in two days on my cruise so I read 3 books in 6 days. I was pretty proud of myself. This is the second book in the Sunshine Girl series and I did enjoy this book better than the first. That is what I was hoping for. In this book I liked the story better than I did in the first. The story gets more in depth of the power that Sunshine has and we meet new, interesting characters. I also really liked how it ended because it made me really want to read the 3rd installment ASAP. It is already on my list for next year’s Popsugar reading challenge. The one part that I could have done without was the love triangle between Sunshine, Lucio, & Nolan. Sometimes it is ok for men and women to just be friends. Not everything has to be romantic. Clearly we know who she belongs with so it just felt pointless. Aside from that I can’t wait to see how Sunshine’s story wraps up in the next book. When I picked this book I had no idea that is came from a popular YouTube series of the same name. 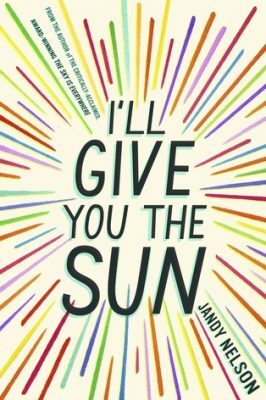 To be honest I picked it because the main character’s name is Sunshine and that reminds me of my niece Sunny, who happens to be my favorite person in the world. 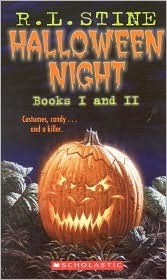 Completely by accident I started reading it around Halloween so it was a good book for the season. I have to say I did enjoy the book….did it blow me away, no, but it held my interest. I really liked the subject matter & the characters. I liked it enough to want to read the trilogy. I am taking the second book of the series with me on my cruise this weekend along with two other books. I wanted something light and entertaining to read while on vacation and this series fits the bill. The overall rating of this series gets better each book so I am hoping I enjoy the second one even more. Everyone at McKinley High dreams about Halloween. The A-plus parties, the creepy costumes — it’s a blast. Everyone, that is, except Brenda Morgan. For Brenda, Halloween is a total nightmare. Every year, something terrifying happens to her. Like someone smearing blood all over her bedroom wall. Or her friend stabbing her in the back — literally. It’s almost like Halloween night is cursed for Brenda. And unfortunately, October 31 is just around the corner…. Let me start by saying I grew up reading Goosebumps and Fear Street books. Both were staples of my childhood. I still have about 20 Fear Street books that, as an adult, I still enjoy reading from time to time. With that being said this book was just stupid. The edition I had was both books of the series and they were both equally bad. It was pretty much the same story told twice, just different characters and a slightly different twist, if you even want to call it that. Brenda is clearly an idiot who is not good at picking friends or boyfriends. Halley is just an awful person. Brenda’s parents are blindly loyal to their niece rather than their daughter. If I had to chose I would say the second book was slightly better than the first but like I said they were both pretty terrible. I gave it 2 stars instead of one just because I really do love R.L. Stine and will just have to forgive him for these books. I absolutely adore this book!! I love the characters, the story, the way it was written, the artistic elements, and most importantly the relationship between Jude & Noah. Both when they are together and when they are apart. I love the way it was written from Noah’s perspective before the “incident” and from Jude’s after. To see how they both change from this event in vastly different ways, to become completely different people, shows how drastically different people handle tragedy. My favorite part is when I realized what the title meant. It always makes me smile when I figure out why a book has the title it does and this one made me so happy. The game Noah & Jude have is magical. Must read!! I remember this book being popular when I was a kid but somehow I never read it so it was perfect for my challenge theme. I am so glad that I chose to read this book now as an adult rather than having read it as a child. 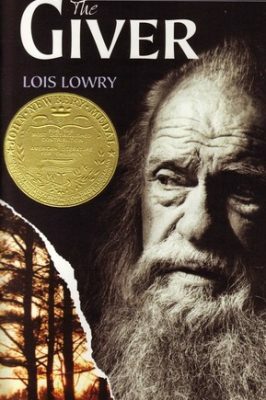 Granted with age comes wisdom, so I can appreciate the concept of the book more, but I just don’t think young adults would truly understand the greatness that is this book. While there is something appealing about a society where mates are matched up perfectly, people are matched up with the job that will succeed in, families are all given two children, there is no war or hunger I just don’t think I could give up the things I would have to in order to achieve that. What is a world without true love, music, BOOKS, art, just to name a few. Not a world I would subscribe to even with the problems in my life. I am so in love with this book! I am realizing that it is very hard to review a book you love so much. I finished this book 4 days ago (with only taking one day to read it) and every time I go to review it I just can’t put anything into words. This book made me feel all the feels. I literally felt every emotion possible while reading this book. I have not cried so much or so hard while reading another book in my life! I would give this more than 5 stars if that was an option. It was one of those books that as I read the last line, I closed it, held it close to my heart and just sighed with a smile on my face. About 10 minutes later I got up to go tell my husband I was done reading and was about to cook dinner and as soon as I went to speak I started bawling. He must have thought I was crazy. He isn’t a reader so he doesn’t get it, hehe. Anything I say won’t do the book justice so I am not even going to try and get more detailed than what I have already written. Do yourself a favor and read this book. I own a copy so I will be happy to loan it out. This is the second book by Amy I have read this year and both were phenomenal. I now have a new author on my favorites list with Amy. I can’t wait to read her other books! “Nobody or Nowhere? Fern: I’d rather be nobody at home than somebody somewhere else. Ambrose: I’d rather be nowhere. Being nobody when you’re expected to be somebody gets old. Fern: How would you know? Have you been nobody? Does he curl the hair upon my head ’til it rebels in wild defiance?